This is a late outing for summer with my best ever college friends, which we call ourselves BOYS. We act like boys when we were with each other. hehe Seriously, we do. 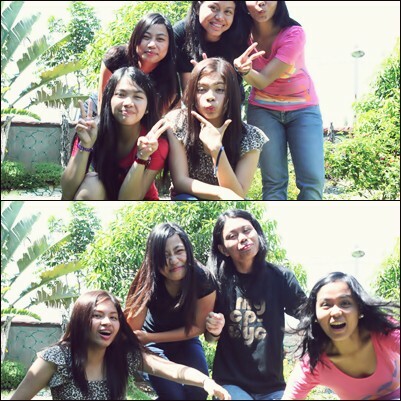 With them I learned how to be more adventurous in life and how to have fun. Since our graduation, we seldom see each other because of different work schedules but every time we have a chance, we go and grab it. Like this one!!! Overnight at Agudo's Residence in Bulacan a.k.a. "BUKID". I love staying at their house. I feel at home since day one. hehehe The day we arrived, we decided to have a night swimming @ 8waves. We actually waited for a few hours for the half price of the cottage. We ate snack at pancake house. Then, the TAPTAP REVENGE Tournament happened. We really enjoyed swimming and of course! the never-ending-kwentuhan with each and everyone. I miss them so much! Kirby the cat, the maarteng cat. Before going to 8 waves. That's me! In front 8 waves, time to splash beybe! 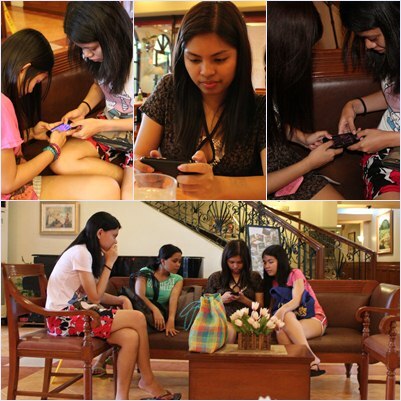 The TAPTAP REVENGE Tournament@the lobby. Before and after sequence mode -- time to go home.